Have you ever encountered a poor text selection solution? For instance, most web applications offer API keys that can be used by developers and when the key is offered in plain text format, it can be problematic to quickly copy & paste it into the console. 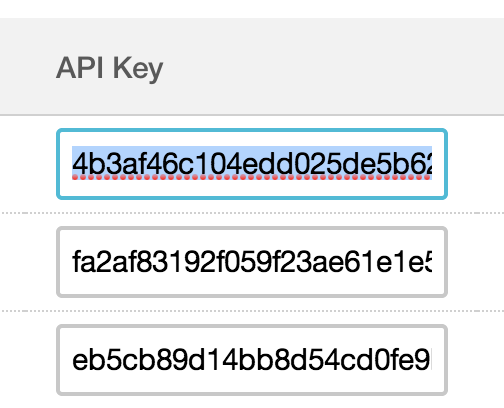 In Google Chrome, double-clicking the API key selects the “key” word that stands nearby. What’s interesting, it works that way only when the API key starts with a letter. If it starts with a digit, the “key” word is not selected. You can easily fix the problem by wrapping the API key with a span element and styling it using display:block. Copy & paste seems to be an easy task. However, when you dive in the details, it stops being as simple as it sounds. Always consider what actions a user must perform to reach the goal. See what other UI mistakes developers often make in this article.